The ultimate list of gift ideas for gift exchanges – white elephant gifts, unisex gifts, and even gifts that work well for kids and adults! 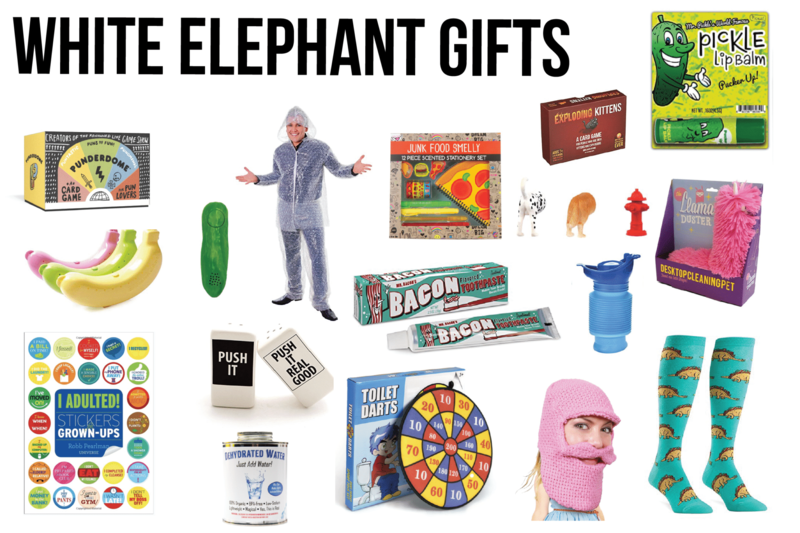 Plus, what is a white elephant gift, how to play a white elephant gift exchange, and great white elephant gift ideas including many for under$5! I’m yet to meet a single person who has never participated in some sort of holiday gift exchange and most of us have participated in quite a few. What nobody talks about is how difficult it is to pick out the perfect gift exchange gift, especially if it’s a white elephant exchange! I’ve hosted and been to my fair share of gift exchanges in the past and these ideas are inspired by some of the best gift ideas I’ve ever seen and heard about. I’ve broken it into a couple of different categories to really create the ultimate list of gift exchange gifts – white elephant gifts and regular gifts – that will work for just about anyone. Before we get into the gifts, let’s start with a quick clarification of what white gifts actually are. I was talking to someone recently and realized that some people don’t know what a white elephant gift exchange actually is. I mean, it’s possible there’s a totally different white elephant gift definition, but this is how I’ve always heard it. A white elephant gift is a gag gig, something that’s designed to be funny and not taken seriously. If you’re going to a white elephant gift exchange, the goal is to bring something that will make people laugh. I know some people tend to go on the more offensive route, but that’s not my thing so these gifts are funny without being offensive. I also try to bring things that are funny but not something that will go in the trash as soon as everyone leaves. So no empty paper towel rolls or broken picture frames, but to each their own. The other thing to know is that most often white elephant gift exchange games include some sort of stealing or swapping presents with someone else. But honestly those type of games could be played with any sort of gifts, not just white elephant ones. And really, you could play any of these 10 gift exchange games with white elephant style gifts, just make sure everyone knows ahead of time! 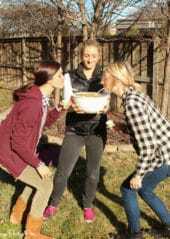 These are three of my favorite gift exchange games that work fantastic with white elephant gifts! I purposely included white elephant gifts that would be funny but things that people might actually keep, not just throw in the trash five minutes later. These are inspired by some of the best white elephant gift ideas I’ve seen in all the parties I’ve hosted, but there are plenty of others out there if you want to just use this as an inspiration spot! You can click on the links in the list to purchase the items or just use this list to get ideas for buying them in stores! I kept all of these gifts to under $20 with a small section of gifts for $5 or less! While these could be funny, these gifts are typically ones that you want people to actually like, not just laugh at. Typically when you’re playing a gift exchange game, you’d set a price limit and a theme. Themes could be anything from a particular letter to “as seen on TV,” or really no theme at all. We normally do no theme, but I’m really loving the “as seen on TV” theme and might have to try that one year! I’ve broken this list into a couple of different categories based on requests from readers – gender neutral gifts that would work for a dice gift exchange game like this one and then a section of gifts that would work for both kids and adults (also gender neutral). Hopefully this list will help give you some ideas of the best gift exchange gifts to use for these gift exchange games! These gifts work for both men and women, are geared more toward adults, and work perfectly in this gift exchange card game where everyone in the group is switching gifts with one another! Not everyone might like all of these gifts, but they should work for at least some men and women in the group! And if none of these really work for you, a gift card or food is always a safe bet. Boring but safe. One of the most fun things about a gift exchange is getting something random, something you probably wouldn’t have bought yourself, so I try to avoid gift cards and cash if at all possible, unless of course that’s the theme of your exchange! 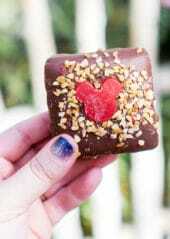 Or put it with a creative gift as well! These gifts work for kids and adults and are great for the more kid-friendly gift exchange games like this dice gift exchange game! 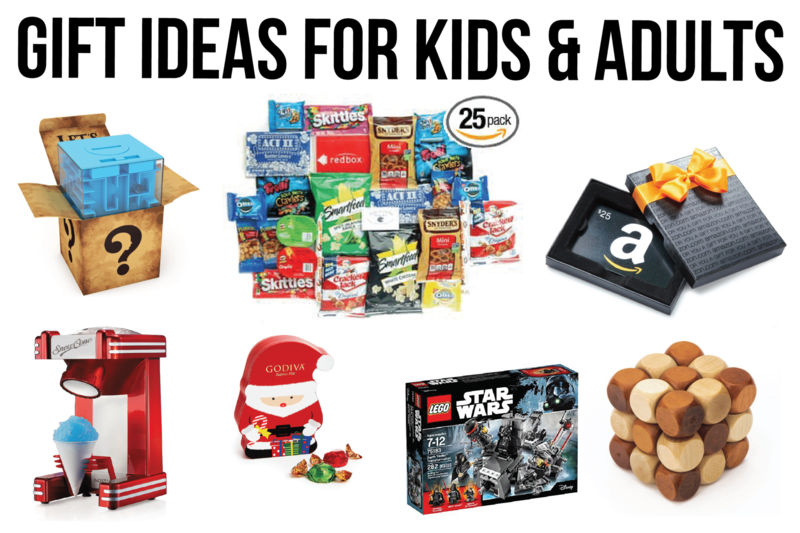 And a little disclaimer, I’m not claiming that everyone in your group will like all of these gift ideas just that they would work for both categories – kids and adults! The rule of thumb when it comes to picking gifts that work for both kids and adults is typically to buy something more geared toward kids that adults will also enjoy. Adults tend to enjoy kid things like Legos, Nerf guns, and puzzles more than kids will enjoy adult things on the list above. What’s the best gift you’ve ever given, received, or seen in a gift exchange? I’d love to add more to this list if you leave comments with other gifts I should add! oh my goodness, I always love finding hilarious and weird gifts for white elephant parties – these are all awesome! 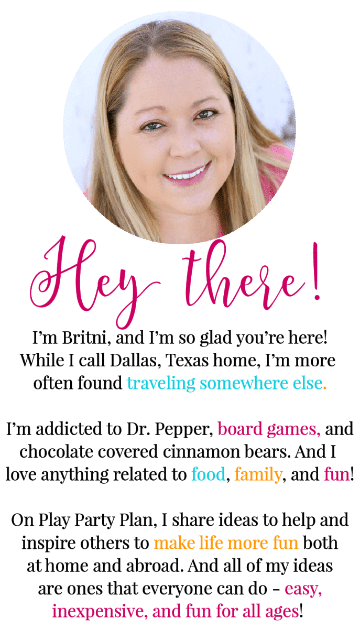 What great gift ideas, Britni! I especially LOL’d at that Nicholas Cage pillow case. I actually saw that on Amazon while Christmas shopping last year. Whoever thought of that is a genius. It’s a classic. Hahaha! 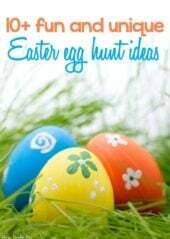 Great gift ideas and games! Can’t wait until next month! !